Disrupted in Berlin-Köpenick. All customers re-supplied. Horizontal drilling work by a civil engineering firm had cut through two 110 kV cable systems at 14:10 on 19 February at the entrance to the Salvador Allende Bridge in the district of Köpenick, causing a large-scale power outage. Around 34,000 customers were on the network for around 31 hours. The reason for the unusually long disruption: Complex structural challenges at the point of damage and repair work in a confined space. Since 21:22 clock all concerned customers are supplied with power again. 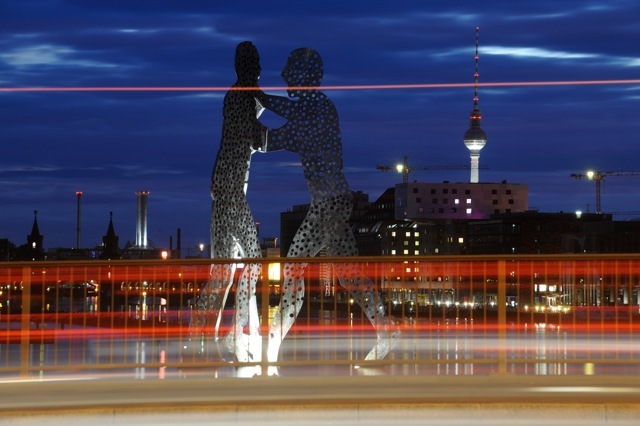 We are supporting the city of Berlin in becoming one of the leading Smart City metropolises. Information for former customers of BEV Bayerische Energieversorgungsgesellschaft mbH about the grid access cancellation, for replacement supply, for meter status recording and further actions. We provide advice on implementation and how to maximise potential. Find out more about our services. News - The 10th tender for the procurement of energy for compensating physical grid losses for 2020 ist complete and the results are published. Information on disruptions, see our page 24 hour fault management. Please report this fault using our lighting fault management site. Information on processing compensation claims after disruptions or building works. Get an insight into your energy consumption. With the StromTracker app, you can document your meter status regularly, thus getting an insight into your consumption. Tell us about faults or damage to public street lighting systems in Berlin – now also while you are out and about by just using your smartphone. The access to our webportals for customer and service provider. Let us know your meter status at your annual reading, when moving in or out or when you're changing your energy supplier.